In Edmonton, countertops are a fixture that we see every day in our personal and professional lives. If they stand out or not that we give them further thought … well, that depends on the lasting impression that they can make on us. Whether you are creating the look and atmosphere for your home or for the office, every decision is carefully considered to create an ambience that is unforgettable. While your home’s design elements combine to create a warm and welcoming environment, your needs in a corporate setting might be something completely different. Though it is important to also be warm and welcoming to your clients and partners, you may also want to present an image that is professional, secure and commands trust. This is accomplished through a number of elements – paint, lighting, flooring, the finish and style of seating but one feature that is sure to capture attention are the tabletop and counter surfaces in your space, which become a focal point of most every interaction that you will have in that environment. At home, your kitchen counter is often the main hub of activity when you’re hosting guests. In your workplace, your front desk and boardroom surfaces may well be the setting for closing some of the most important deals in your career. In both cases, the importance of leaving a good first impression leaves no room to second guessthe appearance and design of your space, you want to get it right. Think about the investment that you are making into your home and your business. Whenever you are making a repair or an upgrade, you want to know that you are getting the greatest value for your money and that your investment is being wisely spent. Ideally, you want to spend with confidence that the change that you are making will be enjoying for the duration of your life in the home. Consider the activity of your whole family in and out of your kitchen and bathrooms over the course of a single day, now project that over several years. You want a material that is resilient to scratching, staining, and heat and that its appearance will hold up over time even in changing climate, humidity, and under direct sunlight. With this criteria, you will quickly narrow down your choices, especially in Edmonton’s climate, to a stone finish – granite, quartz, marble all feature the resiliency and durability to maintain their value over time. Your counters are a focal part of any room, but you do want to consider how they complement the surrounding décor in the room. We have all walked into a space at some time in our lives and wondered who made the unfortunate design decisions that we see before us. When considering the overall look and feel of your space, you also want to avoid the possibility of sinking your money into dated trends that make your home look out of style not long after your renovation. With respect to appearance, choosing granite countertops is a safe choice as the timeless elegance and sophistication of stone continues to find a home in every evolution of home décor and design. Additionally, with a choice of natural hues and patterns, you have the choice of a countertop which will accommodate a room set to earthy and natural tones, or for a modern, pristine setting. This may be an area of consideration that many overlook when they are making the design for material for their countertops. In a small apartment or modest bachelor condominium, the surface area of your countertop in relation to your living space may be a determining factor in whether or not you want to make a significant investment in that element of your design. However, when you have a large, open concept kitchen with island, the scope and possibility for your design is much larger. Creating a showcase in your home through your countertops becomes a much more practical and attractive investment. We would be remiss in not acknowledging that budget definitely does factor into the planning and purchase of each component of your home design and renovation project. However, you should be cautious of allowing budget to dictate the project. While one choice of product or material may offer a lower price tag, you should weigh that against the other criteria listed here. What is the anticipated life expectancy of that surface over time? How often might it need to be replaced? What you may find is that spending with durability and lifetime appearance in mind at the start of your project will save money over the long term. 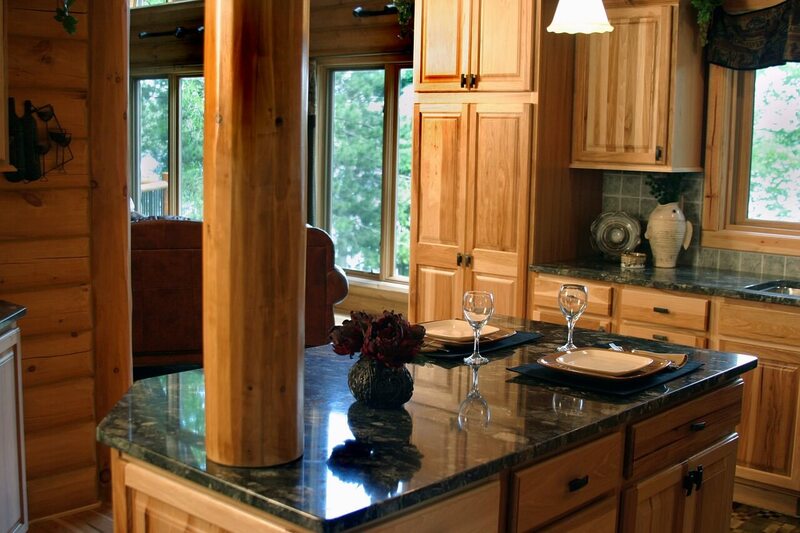 At K & J’s Custom Granite, we have been helping homeowners and business people with their Edmonton countertop solutions to ensure the right fit. We are seeing that many are choosing granite as their material of choice as it rates atop most categories for consideration and in addition to offering a classy, smooth texture that shimmers, it has also been shown to increase the value of the homes when they next appear on the market. Shop and compare, but before you spend your money on your next design or renovation project, please get in touch with us or drop in to our show room to make sure you know if granite is the right choice for you. Our expert team would be glad to review your design with you and offer no-obligation expert advice to give you the information you need.